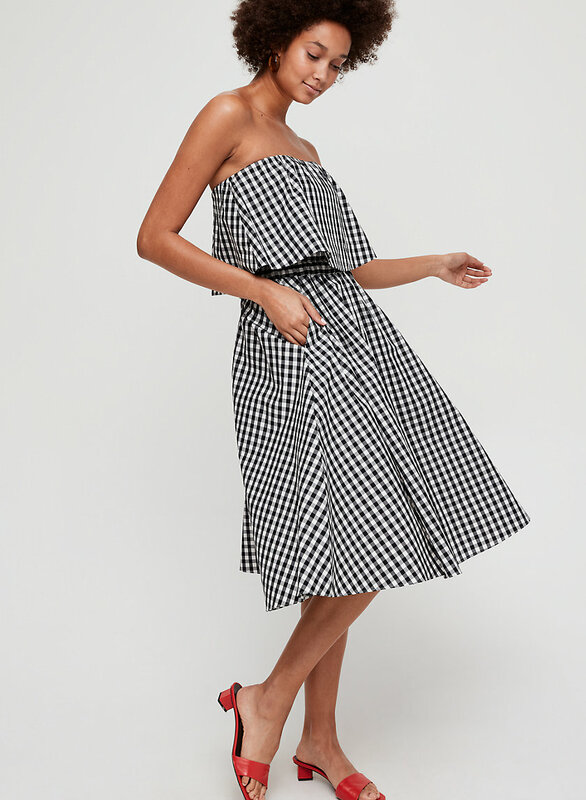 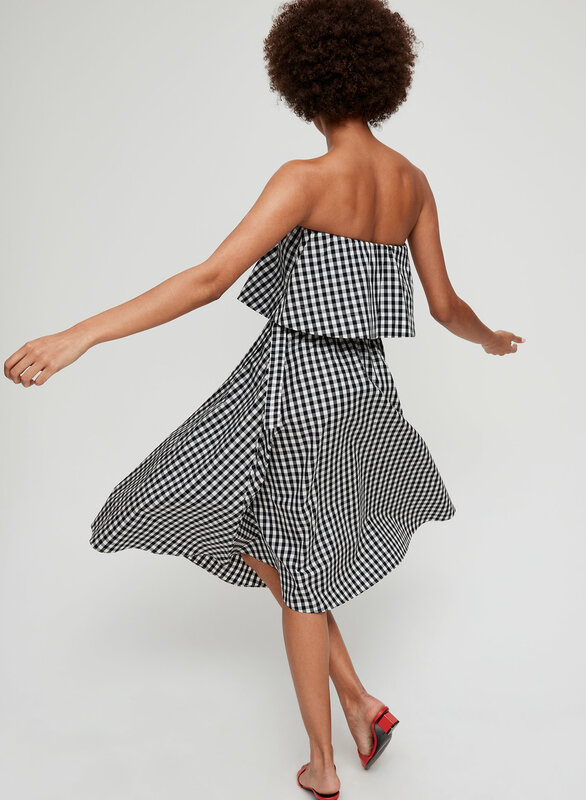 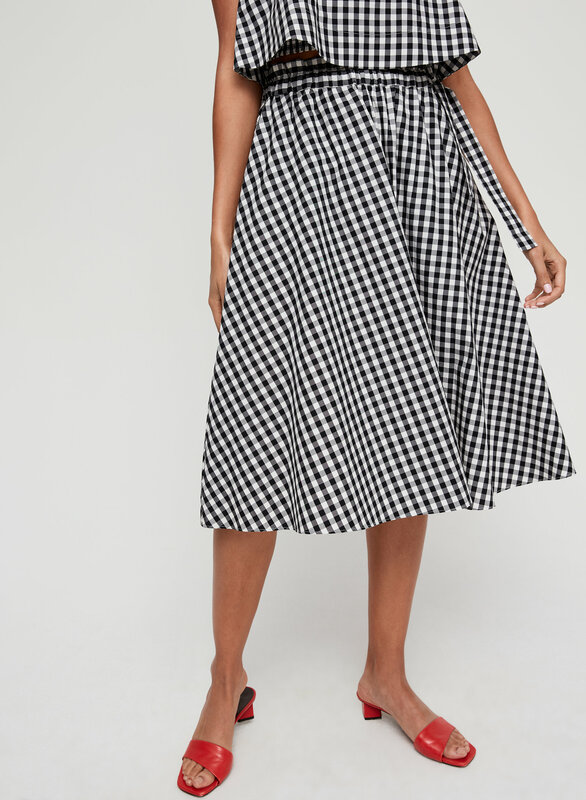 This is an A-line skirt with a self-tie detail at the waist. 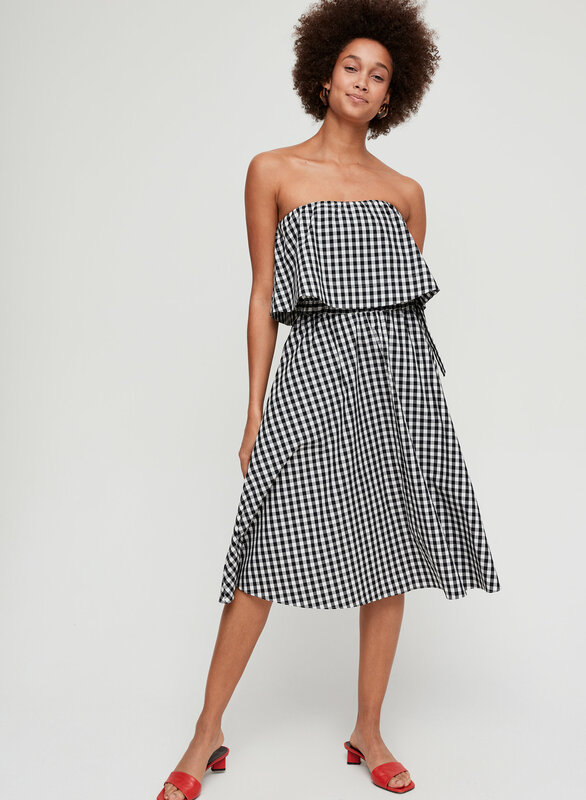 It's made with a crisp cotton poplin. 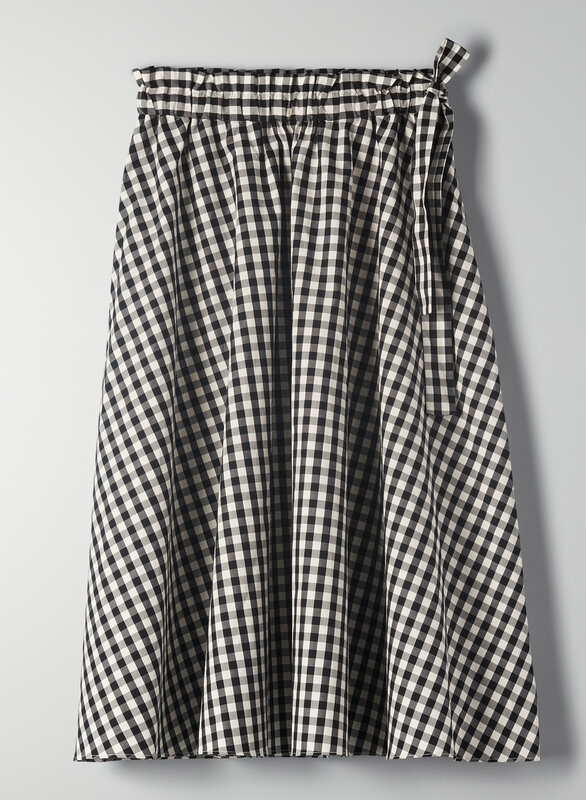 This version of the Chambly comes in a yarn-dyed gingham check print.